peel | Envy Skin Clinic is all about you! If you struggle with acne-prone skin and enlarged clogged pores, you might want to check into the Obagi Blue Peel Radiance skin peel. This chemical peel is for all skin types and exfoliates your skin, leaving you looking and feeling smoother and softer. The salicylic acid-based peel can be used as a peel on its own or in conjunction with other Obagi skin care products for maximum results. Other types of alpha-hydroxy chemical peels and even some other superficial skin procedures don’t always let us control the depth of the peel. Where the Blue Peel Radiance differs is that it gives us so much more control on the depth of the skin being treated. By choosing how many layers to apply to your skin, we can better tailor a chemical process for each person’s individual skin needs. What’s more, the peel offers a lot more flexibility in treating different parts of the body, including legs, arm, back, face, chest, hands, and neck. One of the best things about the Obagi Blue Peel Radiance is that it gives you an instant glow. When you arrive for your treatment, we’ll cleanse your skin and then apply the peel according to how many coats your skin needs. The peel stays on your skin for just 12 minutes. Some patients do experience a mild sensation, but it quickly disappears. For best results, we recommend a Blue Peel Radiance treatment every 4 – 10 weeks. Another major benefit of the Obagi chemical peel is that there’s minimal downtime. After your treatment, your skin will feel a little tight and some areas may be slightly more red and sensitive a day or so. If you do experience some reddening in patches, the skin may flake. This is normal and can be managed with moisturizer. We don’t recommend having a treatment done before extended sun exposure. A peel treats the top layer of skin, exposing a younger epidermis which is more prone to sun damage and burning. When it comes to Blue Peel Radiance treatments, you’ll find the peel highly effective at treating rough and dull skin. 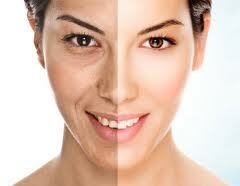 The peel works fast at restoring your natural glow. The Blue Peel provides, as the name says, instant radiance. After just one session you’ll notice a dramatic improvement in your skin’s tone and texture. Optimal results are usually achieved after four to six sessions. Within about a week, you’ll notice immediate and significant results. You’ll achieve a fast reduction in fine lines, wrinkles, and pore size, and even brown spots. It’s important to maintain a regular skin care regime after your treatment. Aim to wear a chemical-free sunscreen of at least SPF 30. While the Blue Peel Radiance treatment is relatively gentle, your skin may start to peel within 2 or 3 days and should be completely healed in about 7 to 10 days. Avoid direct exposure to the sun, which can delay healing and reverse the benefits of your peel. Keep protecting your skin from the sun to maintain the peel’s benefits. Stay away from alpha and beta-hydroxyl acid products, facial products containing fragrances and even retinol for at least 3 days after your treatment. Be gentle with your skin. Avoid exfoliating, even if your skin is mildly dry or flaking for a few days after the treatment. Let your dead skin naturally slough off and use a dry towel to gently remove it. If you want to diminish the signs of aging, reduce clogged and large pores, and restore a natural glow, it’s time to consider a Blue Peel Radiance treatment. Book your peel at ENVY Skin Clinic today. You’ll see beautiful results in just one week. 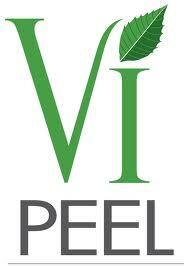 Those with allergies to any of the ingredients above and women who are pregnant or nursing should not undergo a VI Peel. For one week prior to receiving the VI Peel, the best results are achieved by having a consultation with a skin care professional to discuss the peel pre- and post-peel home care to acheive the best results from the VI Peel and to maintain those benefits. The VI Peel has just given you the equivalent of multiple peels. So, for a week or two following the peel it’s best to avoid exfoliating products like glycolic acid and retinols. Avoid direct and prolonged exposure to the sun, and we recommend you use a sunscreen at all times. Resist the temptation of pulling your peeling skin off – it’s important that you let it peel naturally. Manage your appearance instead with the included post-peel kit and an oil-free moisturizer. Do not use topical Hydrocortisone Creams, such as our Aloe-Cort cream, as they will stop the peeling process. You deserve to be beautiful! Contact Envy Skin Clinic at 952-983-4588 for our current promotions.